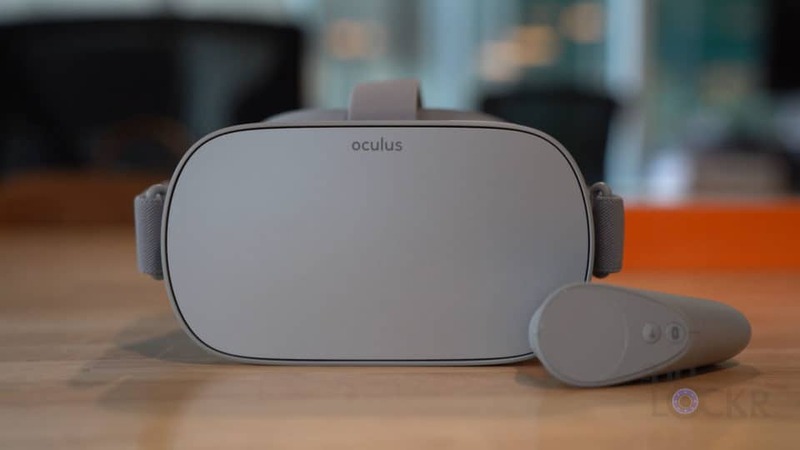 Facebook just released the Oculus Go, their first ever standalone VR headset. 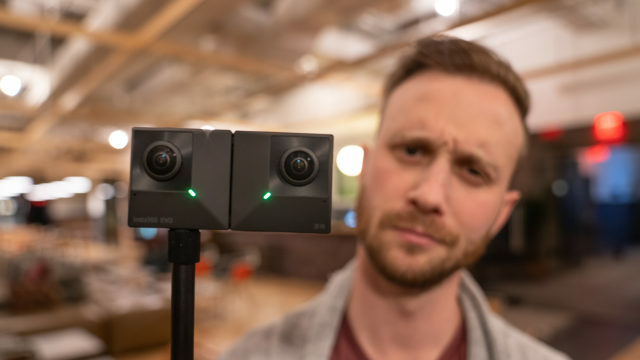 This means no wires, no phone in your face either, just a lightweight headset with Wifi connectivity and a controller that you can use to view 360 content from. 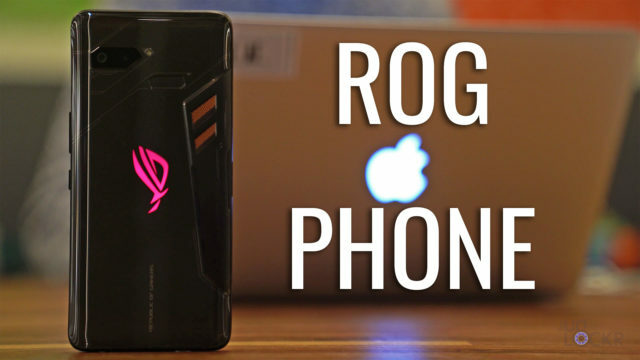 Since this is a new piece of tech that I thought was pretty interesting (and that you might also be interested in) I figured it was time to do a complete walkthrough. 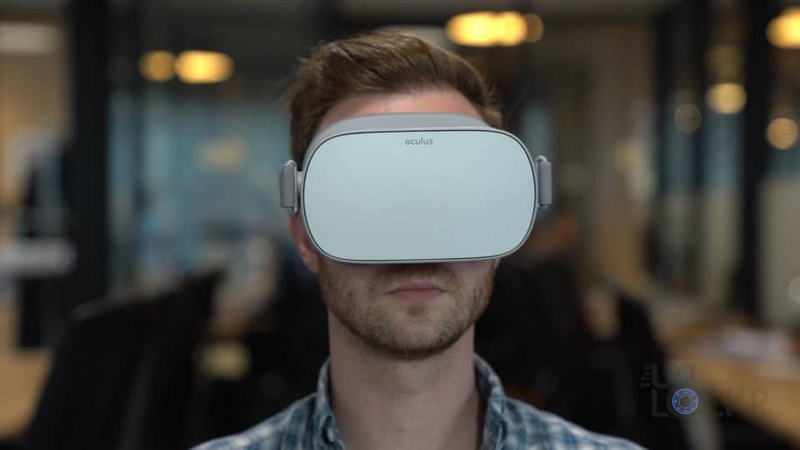 If you aren’t familiar a complete walkthrough is where I go through all the Oculus Go specs, features, etc. to try and give you as much info as possible to help you make a decision should you be thinking about buying one. With that said, there’s a lot to go through, so let’s get started with the hardware. 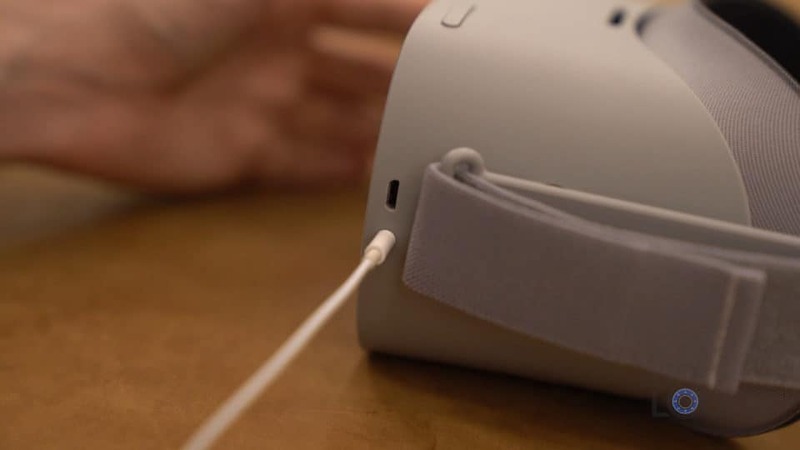 Again, the Oculus Go is Oculus’s attempt at making a standalone VR headset: no phone, no tethering to a computer, etc. 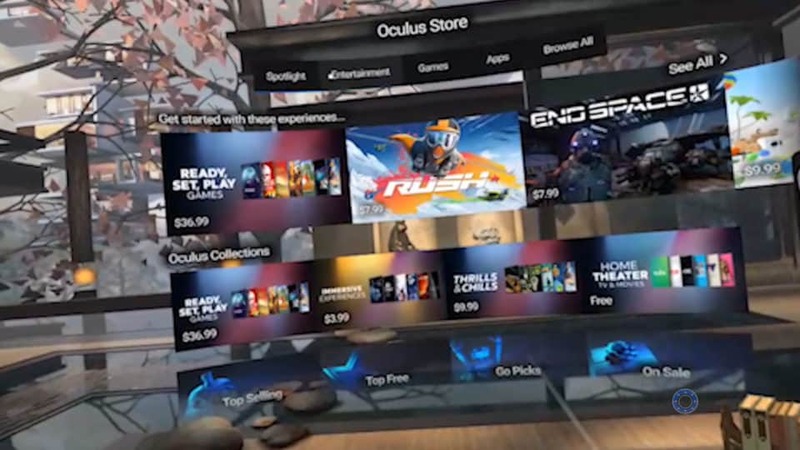 So, while it needs to connect via Bluetooth to your phone using the Oculus app from either the Play Store or App Store, you can technically put that away and no longer even need it near the device for it to work. 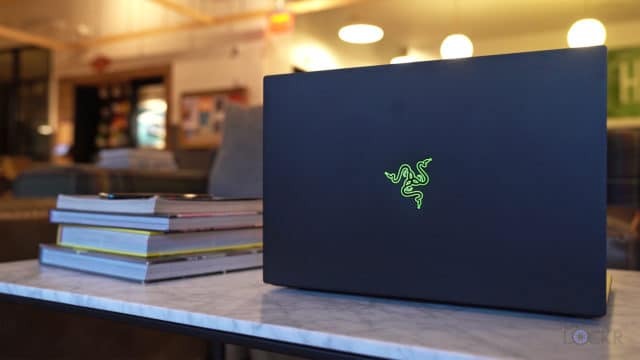 It’ll download everything it needs via its own Wifi connection (which you connect to your home wifi using that app during setup) and the device has its own onboard storage. You have a choice of 32GBs or 64GBs. 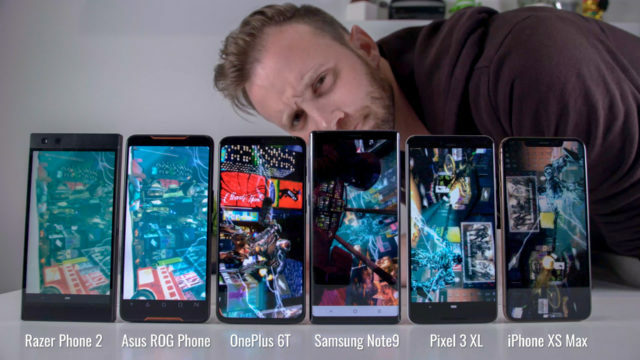 Games on the device range in size from small basic ones around 50MBs to action games up to 600MBs with a lot falling around the 300MB mark. The device is lightweight and doesn’t feel heavy on the face. 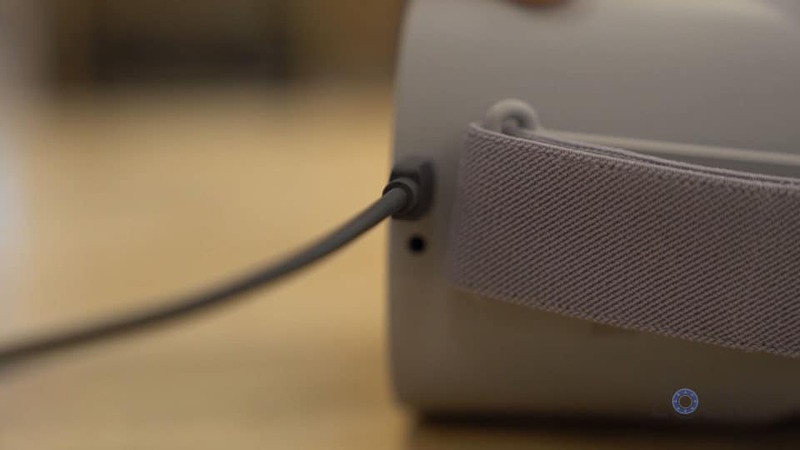 The HUD unit is made of plastic and has three straps to secure it to your head that are made out of a soft cloth. These straps are adjustable with velcro and you can even leave off the top one without it falling off it seems. On either side of the headset, we have two spatial audio speakers that aim to give you a surround sound-like experience. But, if you want you can also connect your own headphones if you want via the 3.5mm headphone jack on the left side. Also on this side, we have the MicroUSB port that you can use to charge the device with the included charger or if you plug it in to the computer and use the controls in the headset to give your computer permission you can access the storage on it if needed (we’ll get to why you might want to in a sec). At the top, we have the power button and our volume up or down buttons. 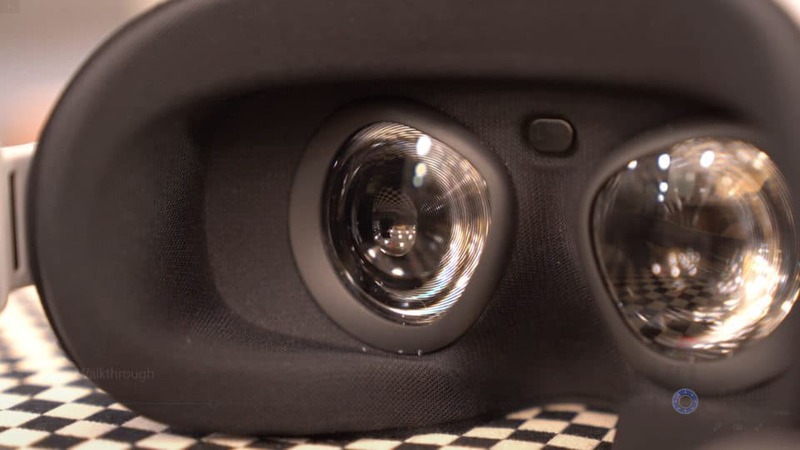 One thing that is missing, or I couldn’t find at least easily, is any way of adjusting the focus–something found on the Rift, Vive, Gear VR, etc. but it does come with a rubber spacer to allow you to wear glasses while using it if you need. 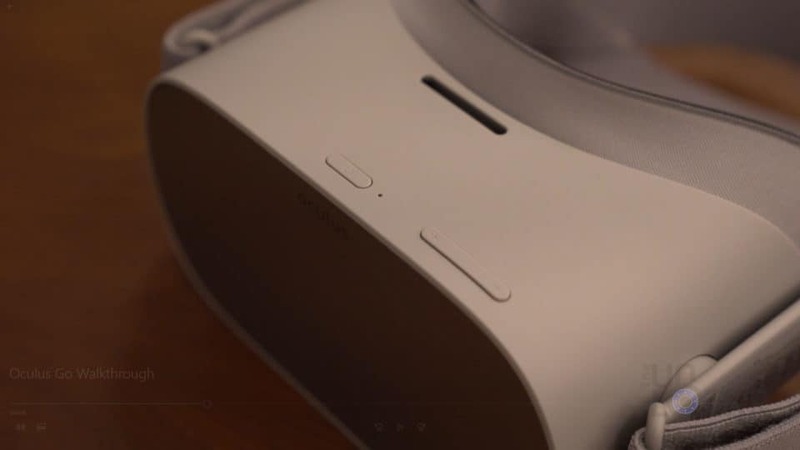 Inside the Oculus Go, we have our two lenses with our LCD “fast-twitch” display that has a resolution of 2,560 x 1,440 (or 1280 x 1440 per eye). This resolution is actually higher than the more expensive Oculus Rift’s 2,160 x 1,200 but it apparently has a lower refresh rate of around 60hz vs. the 90hz of the Rift. So think slightly sharper, but slightly less smooth. We also have an LED on the headset that indicates apps download, the device rebooting, having a low battery, charging, etc. with different colors and solid or blinking states. 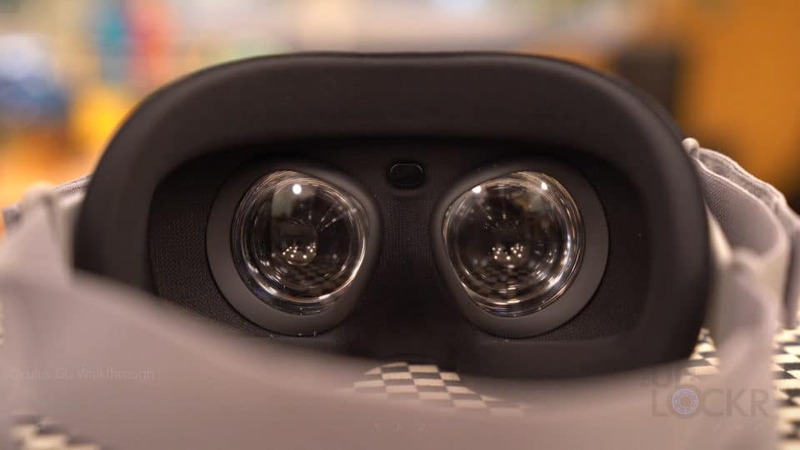 And it’s powered by the Qualcomm Snapdragon 821 processor which might sound like an old processor for a phone but it’s still plenty powerful enough for handling VR. 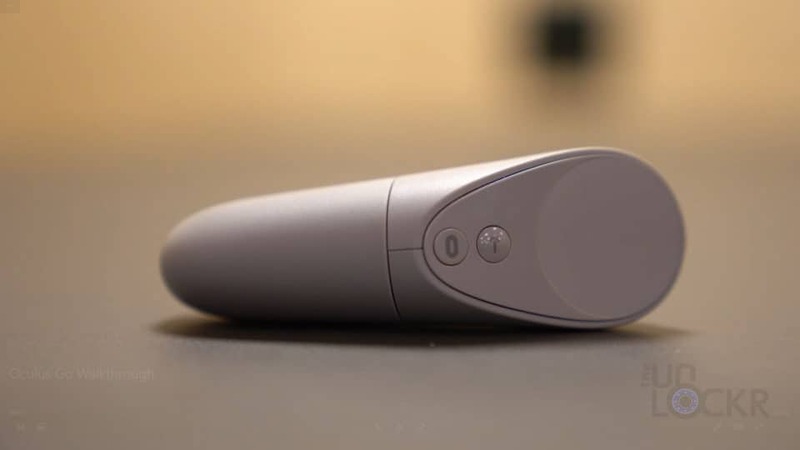 And finally, for hardware, we have the remote, which connects to the headset via Bluetooth and can then be used to select things in-game, navigate the menu, etc. and is powered by a single AA battery. Trigger: Pull this to select things. Touchpad: Swipe on this to navigate things or click it down to select. Back Button: To. Go. Back. 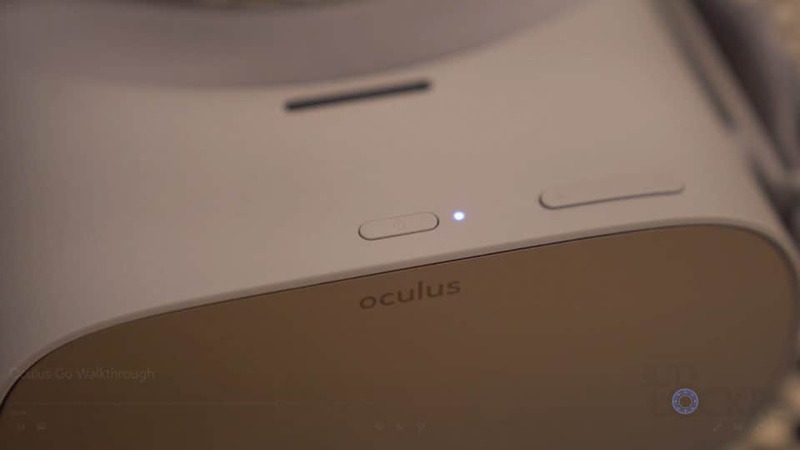 Oculus Button: Press to go back to the Oculus Home screen or you can hold it down to reset the orientation of the controller. And finally, it also comes with a lanyard to attach to the controller so you don’t accidentally fling it at someone. 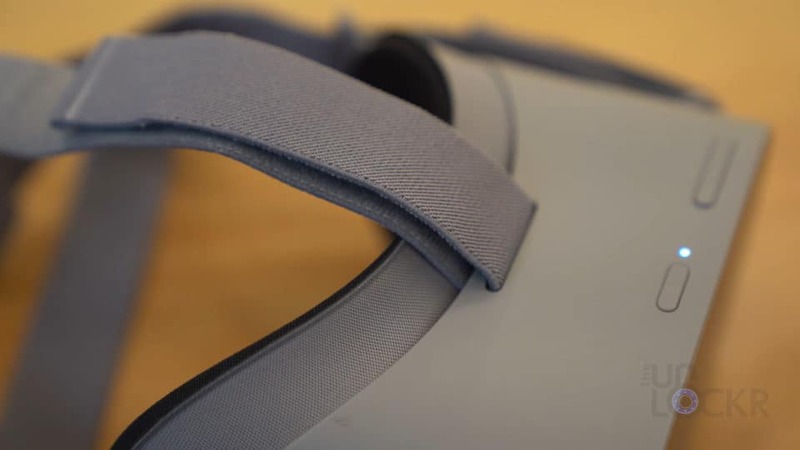 Now, let’s quickly dive into the software on the Oculus Go. 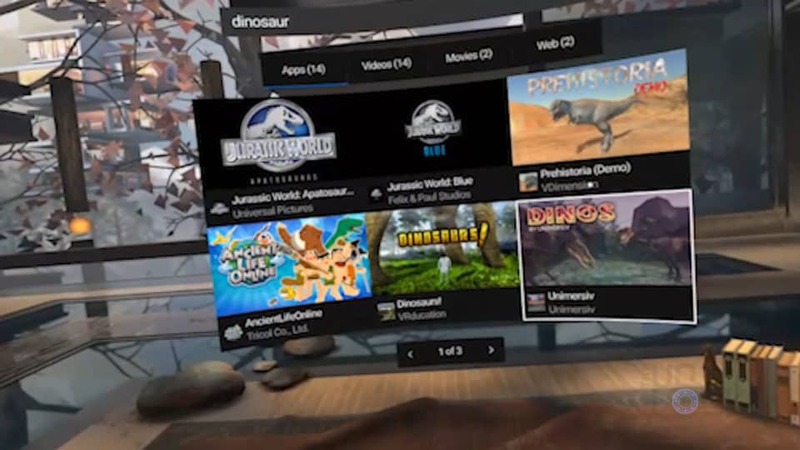 Firstly, when you start it up, you are brought to the Oculus Home under the Navigate tab. 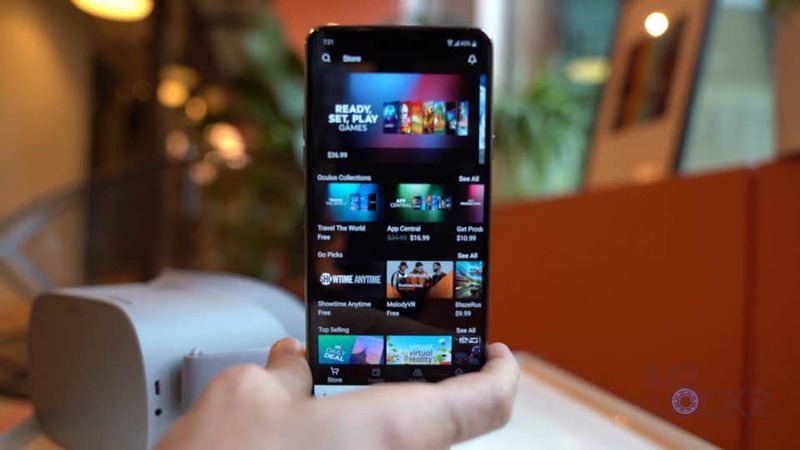 In here, you are presented with some content recommendation under the Just For You tab and you can swipe left or right on the remote’s touchpad to scroll through them. You can then select Discover to see some curated lists like Top Free Apps, Recently Released Apps, Top Paid Apps, etc. and can click on Categories to get to categories like Puzzle & Strategy, Entertainment, etc. There’s also a voice search option on this page if you know what it is you are looking for. Next, we have the Library section that shows you all of your installed apps, videos, etc., updates for them, etc. You can also change your Environment which is another name for the home screen background. Then we have the Store where you can search for and buy/download new content from apps and games to videos, etc. 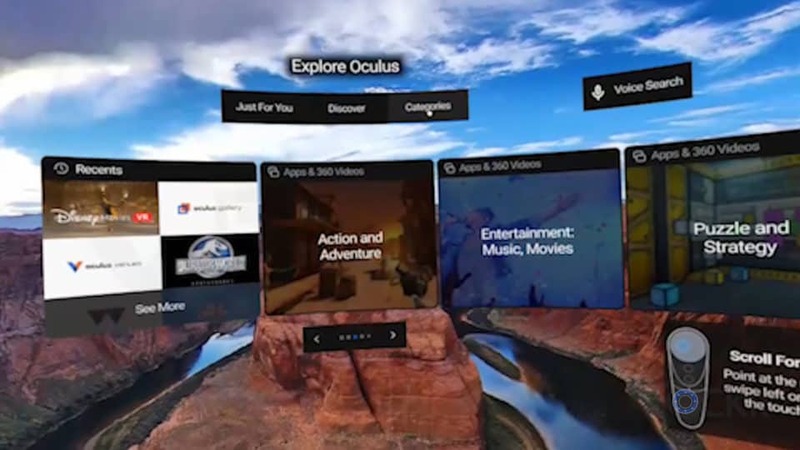 Also, this pulls from the Gear VR store, as well apparently (since both are run by Oculus) so you can access anything you’ve seen on a Gear VR from here, as well. After that, we have a built-in web browser that has tabs, bookmarks, and everything else you’d expect from a browser basically. Gallery lets you browse and view media from your device’s internal storage, Facebook, or any media device on the Wifi network that you have access to. And lastly, in the Navigate tab, we have the ability to Search across apps, videos, movies for purchase, and the web. 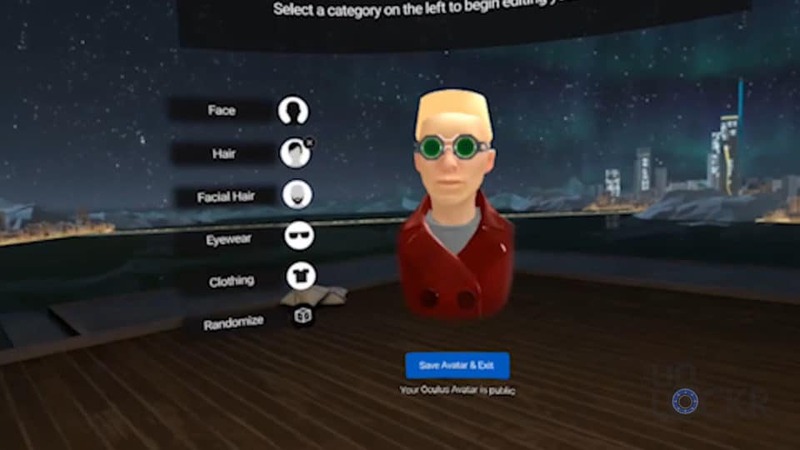 Under the People tab, you can access your profile and edit your Oculus Avatar from there. 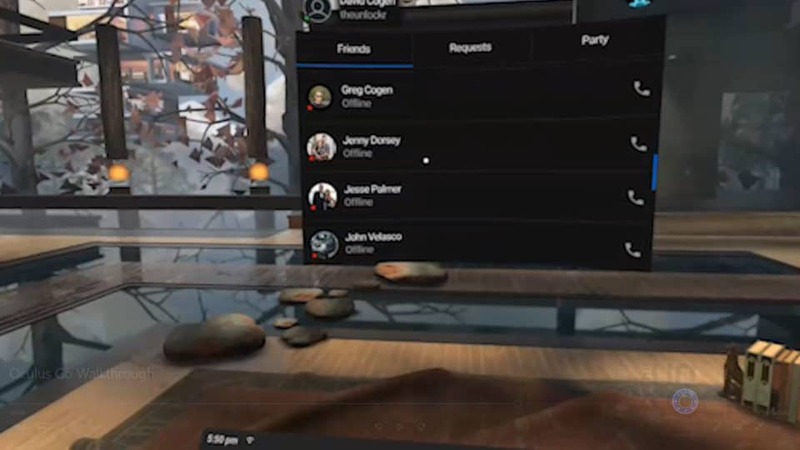 Check to see which of your friends are online, send them requests to join you or start, what Oculus calls, a Party which let’s them join you in your on Oculus environment and play games together from there. There is also a shortcut to get directly to Parties in the menu for some reason, but it just takes you to the same page in the Friends section. And a neat concept in here is the Events section. This shows you live events that you can join with other people/classes, and under My Events, any events that you’ve selected to join will be listed there. Under sharing, we have the ability to live stream your view directly to your Facebook profile for others to watch as you play games, etc. 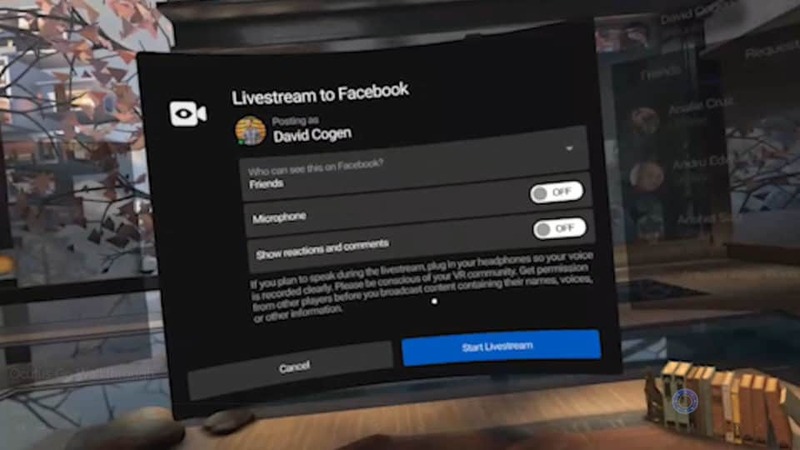 and there are options to decide who can see the stream as well as turn on and off your microphone so they can hear you or not, and show reactions and comments so you can see what people are saying in your headset or not. 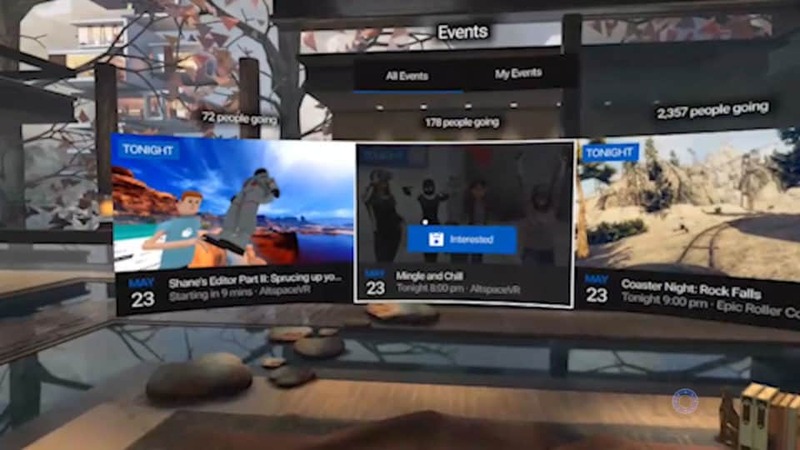 Then we have a button to screen record, which is what is letting me show you this footage and can be accessed after you record it by plugging in your Oculus Go into the computer via USB. Take Photo takes a quick screenshot of your current view which can also be accessed in the same way as the screen recordings. And share photos lets you share any screenshots to Facebook exclusively. There is a section for notifications should any friends try and join you for a game, etc. like most game platforms. And then there are settings, of which there isn’t much. Brightness: To control the brightness of the display. Volume: To control the volume from the headset. 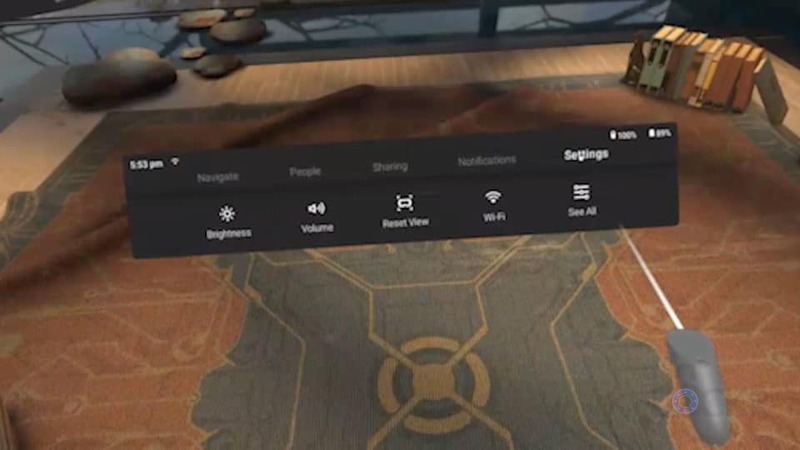 Reset View: Which let’s you re-center your view (which you can also do by holding down the Oculus Home button on the controller). Wi-Fi: Showing you available Wi-Fi networks that you can then connect to. See All: Gives you access to a Do Not Disturb mode, sharing settings, live streaming settings, setting the handedness of the controlleand deviceice info. There is also a friends list on the right side because I imagine they weren’t sure what else to put there. And there you go a complete walkthrough of the Oculus Go. You can check it out further here if interested. Let me know what you guys think of me doing walkthroughs on tech like this going forward and what you think of the Oculus Go.